Are you bored with the crowded beaches of Goa? Yes! Head straight to the shores of Kerala for a bit relaxing beach vacation in India. With an amazing 550 km of shoreline on the Arabian Sea, Kerala has all types of beaches right from the secluded beaches to laid back beaches, drive-in beaches, and party beaches. 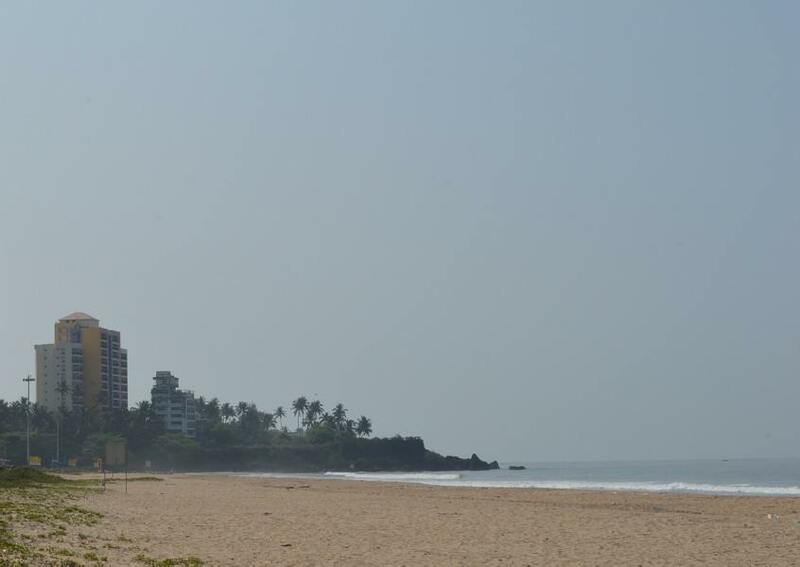 The beaches in the God’s Own Country are characterized by long stretches of golden sand, clear skies, rows of swaying palm trees and high-end Ayurveda resorts, which are an excellent alternative to Goa Beaches. We bring you a quick roundup of some of the prettiest beaches in Kerala to make your holidays more enjoyable as part of Kerala Tour Packages. One of the most precious jewels on the Arabian Sea coastline, Kovalam is a heavenly place with three adjacent crescent beaches namely Lighthouse Beach, Hawa Beach or Eve’s Beach, and Samudra Beach. Since 1970s, it has been a favourite haunt of tourists due to its gorgeous stretches of white sand, beach side restaurants, as well as several activities like sun bathing, swimming, catamaran cruising, surfing, herbal body massage and cultural programs. Kovalam is also famous for its Ayurvedic health resorts and many yoga resorts. Hawa Beach and the Lighthouse Beach are the main action-packed beaches while Samudra Beach is often overlooked, which makes it a better option for those looking for some peace during their Kerala Tour. 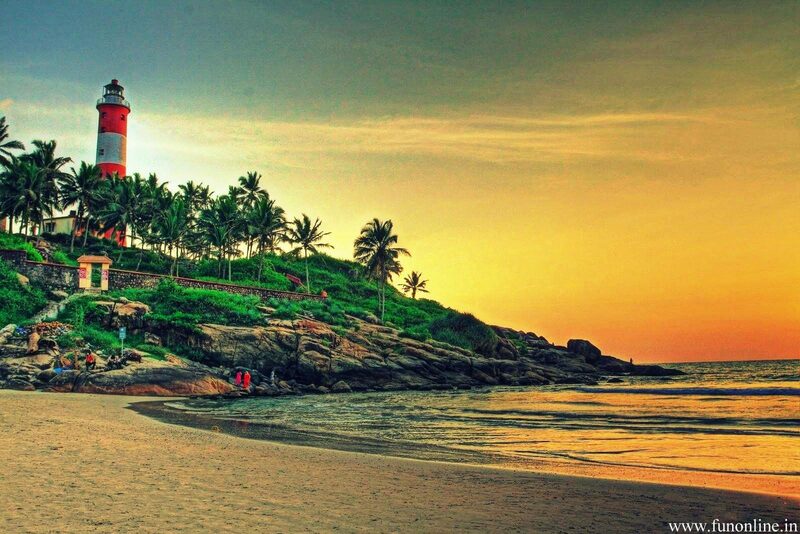 Bordered by striking red cliffs, Varakala Beach is the most beautiful and popular beach in Kerala after Kovalam. It is also called Papanasam Beach as it is believed that taking a dip in the sea here wash away all sins. Counted as one of the top 10 seasonal beaches in the world by discovery channel, this beach has a stunning landscape in the form of big rocky hills, huge expanses of clean white sand, blue warm waters, and swaying coconut palms. The beach offers a striking sunset views along with activities like parasailing, scuba diving, paragliding, angling, deep-sea fishing, etc. Varkala is an ideal place in Kerala for the people who want to spend some time peacefully on the beach as it is less crowded than Kovalam. Besides, Varkala is also known for its mineral springs, age old Sree Janardhana Swami Temple, and Ayurveda centers. Alappuzha Beach is one of the most visited beaches in Kerala. This palm-fringed beach has caught a lot of popularity amongst the European tourists. 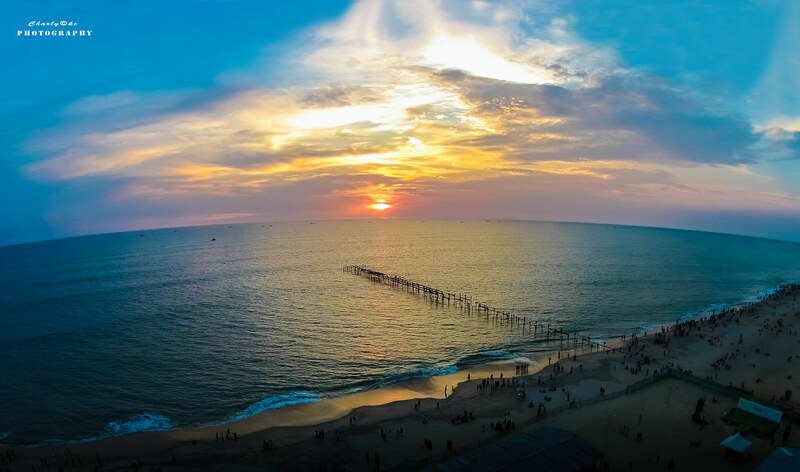 A perfect place to watch the sunset, the beach has a lighthouse for that bird’s eye view and remains of a 137 year old bridge that extends into the sea which reminders the glorious days of Alleppey, when it was a major sea port of Kerala. The beach is the venue for the annual Sand Art festival and Alappuzha Beach Festival. Often referred to as ‘The Venice of the East’ by tourists, Alappuzha is also famous for its boat races and houseboat cruises on its serene backwaters. Situated in Kerala’s northernmost district of Kasargod, Bekal Beach is one of the best maintained as well as the most scenic of all Kerala beaches. The vast expanse of white sand beach dotted with palm trees has quiet and relaxed surroundings compared to Kovalam. This beach is noted for offering the exuberant views of the Bekal Fort, which is the largest and well preserved fort in Kerala. Coupled with pristine waters, white sand and a postcard perfect fort, this beach is a much sought after location for movie makers and has appeared in many hit movies. There is a park on the beach premises with entertainment facilities and walkways. Kozhikode Beach or Calicut Beach is one of the most charming Kerala beaches and among the best places to visit in Kozhikode. 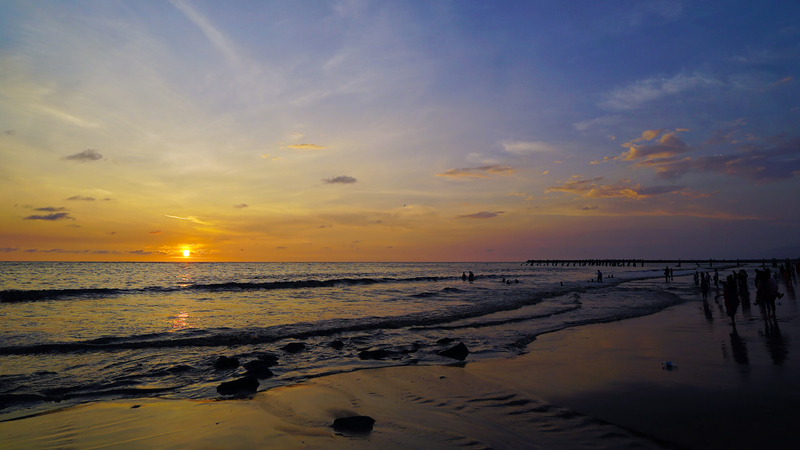 If you want to witness some of the stunning sunsets of Kerala, Kozhikode Beach or Calicut Beach is the place that beckons. With two piers, each more than 100 years old, standing in the middle of the sea, a lighthouse erected on the shore and the beautiful orange hues that the setting sun is providing to the horizon are beyond explanation. The Dolphin Point is one of its many highlights, where one can observe these amiable creatures during your Kozhikode Trip. Counted as one of the most relaxing beaches in Kerala, Mararikulam Beach is a cute little known beach known for its stunning ecology and unparalleled cleanliness. This is absolutely a perfect place for laid-back travellers to just chill, and do nothing. With high waves, turquoise skies and an expansive sandy beach fringed by coconut trees, sitting on the shores of Marari Beach is almost next to meditating as it is so serene and peaceful. The water here is perfect for swimming and some snorkeling. Besides its endless vista of sand and surf, one can also catch a glimpse of typical Malabar’s unique coastal culture and village life at Mararikulam. Located on Vypeen Island, the 15 km long golden sandy beach of Cherai is one of the best beaches in Kerala with its clean white sands and shallow waters surrounded by coconut trees. The beach is known for its backwaters merging with the sea and multihued shells that can be found on the beach. Often called as ‘the Princess of the Arabian Sea’, Cherai Beach is a place where you can go with your family and friends for an amazing beach trip. Since the tide is mostly low and waves are gentle it is an ideal place for swimming and deep sea fishing. Also known as Kannur Beach, Payyambalam Beach is a serene beach on the Arabian Sea coast in Kannur, Kerala. The 3-4 km long beach itself is a stunning display of natural beauty with miles of fine sand surrounded by swaying coconut trees. With its incredibly peaceful and inviting aura, the beach attracts huge crowds in the evening in order to watch the mesmerizing sunset over the roaring Arabian Sea. Adjacent to the beach is a well maintained garden with some incredible sculptures including the Mother and Child by the famous sculptor, Kanayi Kunjiraman. Author Bio: Santhi Sadda is an avid traveler who works with popular online travel portal, Trawell.in. She loves visiting beaches and spends some quality time amidst the Mother Nature. She has a keen interest in writing about her trip experiences along with travel tips.